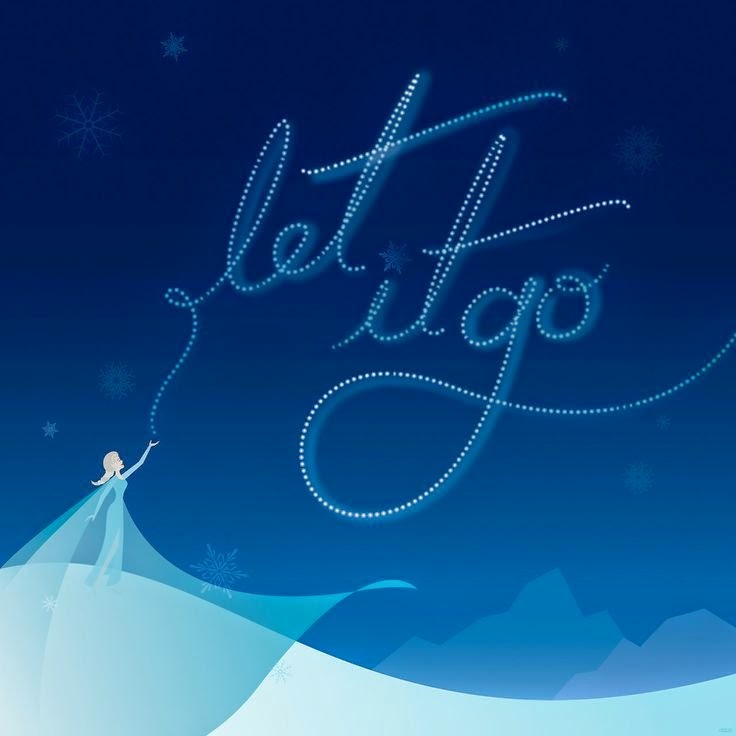 Cross Family Blog: Let it Go! For those of you who are parents, you’re most likely familiar with the movie Frozen and its catchy tunes. But there’s one song in particular that’s being sung quite frequently around our house at the moment. Can you guess what it is? Yep! “Let it go… Let it go”. This song, which interestingly was translated into 41 different languages for the film’s foreign release, has become sort of like a ‘mantra’ for me over the past couple of weeks. You see, we’re in the very messy stages of moving house. With less than a week till moving day, there are cupboards being sorted and drawers being cleaned out in just about every room. Everything is up for discussion as to whether it stays or goes. And I’m pleased to report that we’re all getting better at answering “Let it go!” which is often followed by at least one, if not all of us, bursting into song… again! I find it amusing that it’s taken a Disney blockbuster to lead me to these thoughts about “letting go” of things, but now it’s not only helping me sort through my material possessions, it’s also challenging me about what is in my heart and life that could also do with a big clean out this week. There’s also all those worries and that guilt, that’s stacked up high on the shelf, not to mention the shed full of discouragement and inhibitions that I’ve just shut the door on, hoping they’d go away by themselves. But I’m starting to feel like clearing out the clutter in my heart is going to be harder than trying to hit the high notes whilst attempting to sing the Oscar-winning ballad, Let it Go. I’m learning a lot from my children too. Recently they were given some money from a very generous donor in America. Unsure as to what they wanted to use it for, the money was left sitting there in the envelope in which it came. And then our church began a project called ‘Kids Aren’t Trash’, where some children, who had been living and working on a toxic waste dump, were rescued and given a home. Our church started asking for donations, which immediately sparked my children’s interest. Using all their money they bought Hot Wheels cars, toothbrushes and underwear and then they went through their own precious belongings to find teddy bears, clothes and other bits and pieces that they wanted to give. Why would they do this? Spend all their money on kids they’d never met. Well I believe it’s because they’re starting to understand that even when they give it all, or let it go they know deep down in their hearts that they’re going to be okay. That holding loosely to their “stuff” and caring about people is far more rewarding than the reverse. 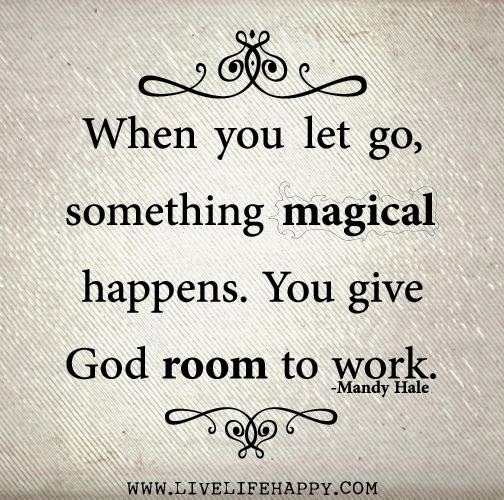 And that letting go often means getting back far more than you could’ve imagined. 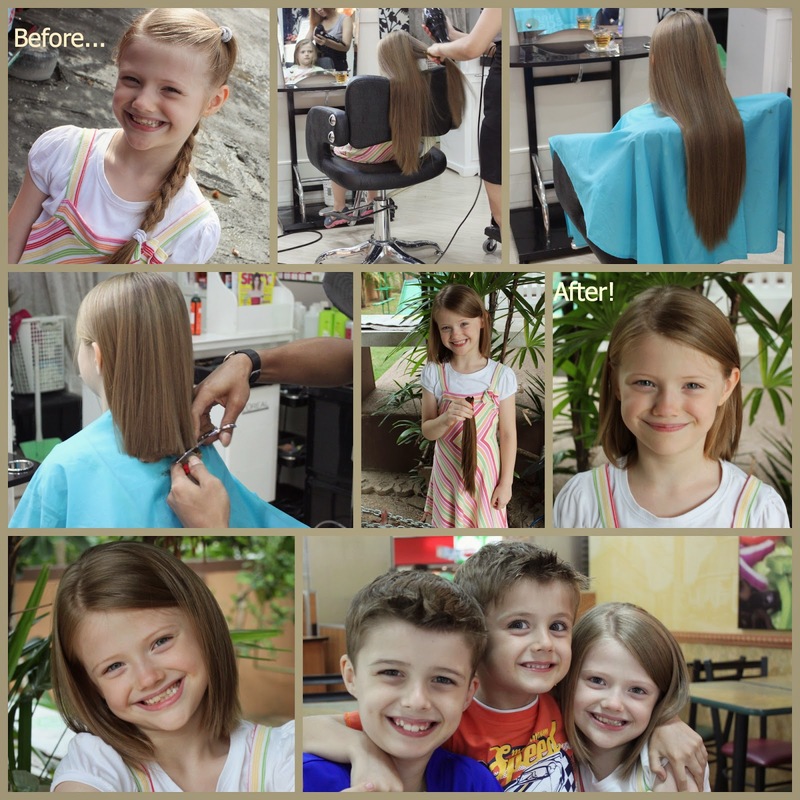 And then this week our precious daughter had 35cm of her beautiful long hair cut off to send to Australia to be made into a wig for a woman or girl out there, somewhere, who is battling cancer. Now anyone who knows our little girl knows that she LOVED her hair. If I was even to suggest or threaten as I battled through the masses of knots on a daily basis before school, that she should maybe just consider having it cut, she would burst into uncontrollable tears. So when she came to me, weeks after we’d been praying for a little nine-year-old girl in our church network who is going through chemotherapy and explained what she wanted to do. I was shocked. Really shocked. But see, she’s starting to see that letting something go and giving something up doesn’t mean losing out. She is so happy that her hair will be used to help someone else. And she’s already planning to grow it again and donate it when it’s long enough. How much I have to learn from these little people in my life. Who make loom bands for strangers and freely give their boxed milk away to kids at the park. 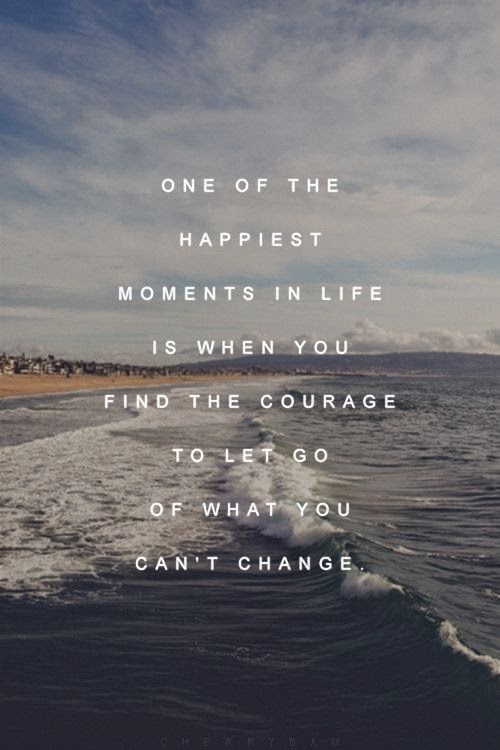 Sometimes it’s so difficult to let go of the stuff that we hold so tight to. We grip so firmly to it unsure as to whether we trust God enough to stop leaning on our own understanding. I’m so glad that I don’t have to keep all my emotional junk. That there is someone so much greater than all I have who wants to take it off my hands. Someone who is more than enough for me. So when God reaches down to take us by the hand, we are caught awkwardly shifting our burdens around, trying to free up a hand to offer Him in return. We need God’s help. We were not created to do life on our own. We were not created to take care of every problem in our own strength and wisdom. We were not created to be a Lone Ranger of Awesomeness that never needs help. We were created to function in unity with the Lord our God. His strength, our obedience. His wisdom, our execution. His grace, our freedom. His healing, our restoration. His love, our gratitude. And so I’m sitting here asking, what else to do I need to just say, “Let it go...” to this week?